Splunk is basically an American Multinational corporation that came into existence in the year 2003. The basic idea behind this foundation was developing a software that can search, monitor and analyze machine generated big data. Splunk, the product itself, manages and moulds real-time data into searchable repository. This can be used to take up many tasks such as generation of reports, graphs, dashboards, alerts and visualizations, etc. Why you should learn Splunk? As we have already mentioned above, Splunk is a digital platform that makes machine data accessible, usable, and valuable for everyone. It is an advance technology which is potent and scalable in nature, and is effectively able to search and index log data in the system. It deals with the data which is complex to understand. It manages data which is in unstructured format. It deals with data which is not useful for any analysis and visualization. Now, assume that you are a System Administrator and you have to figure out what’s wrong in the system. It will simply take hours of time to find out the troublemaker, and if you are working for an MNC, it is nearly impossible to get it out. Machine data in unstructured format, is complex to understand and is strictly not suitable to make analysis or visualization. Now, this is where Splunk comes into the picture. It is a kind of Google for log file browsing. Searches using simple terms with search processing language (SPL). Splunk system has direct storage facility, which means there’s no backend storage required. You can input data in any format i.e. json, .csv, or any other format. You can assign Alerts/Events in Splunk. You can make a precise estimation of the resources you need to scale up the infrastructure. The biggest achievement of Splunk is that it has never encountered a single failure. Apart from this, it has many other impressive features like easy installation, easy scalability, retention without losing granularity, etc. Moreover, Splunk behaviour analytics allows it to spot threats that arise due to user behaviour. The IoT (Internet of Things) is undeniably the future of our generation and managing different kinds of data together is not a piece of cake. 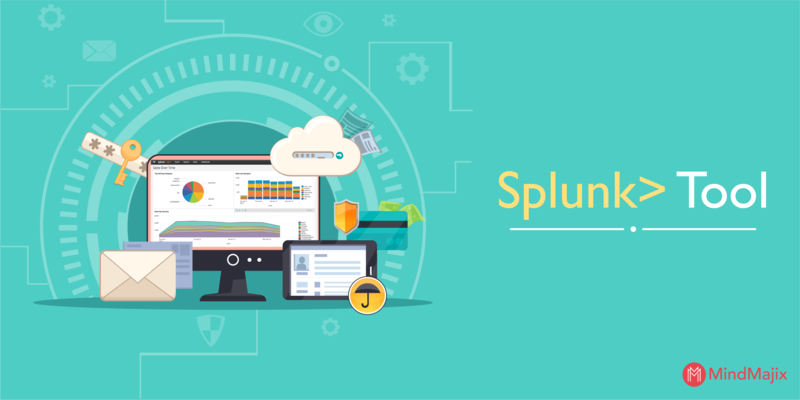 Splunk got its immense popularity because of easy installation and widespread applications in big data analytics.The scope of Splunk is increasing rapidly as the IT sector is enhancing its arms day-by day. Every IT company, either big or small have to manage its machine data, and Splunk is undoubtedly the best in market to do that. Splunk has become a front runner among big players in the tech sector because of its diverse and flexibility in machine learning. It does not stop there it is always adding more functionality to its infrastructure making it more user friendly. At its current rate of growth the competition is going to be cut throat to its rivals soon. According to an estimation, Splunk as a company is going to hit the one billion mark either by end of 2018 or in the first quarter of 2019. Splunk provides the facility of indexing of data like log files, traps and alerts, configurations, etc. The capability of indexing wide varieties of data from every possible server, platform and applications makes it unique in its own way. Regardless of data’s origin, Splunk is capable of indexing it without any parser or adapter. It can even store the data in both forms i.e. raw and separately processed data (which is compressed, organised, and operable). 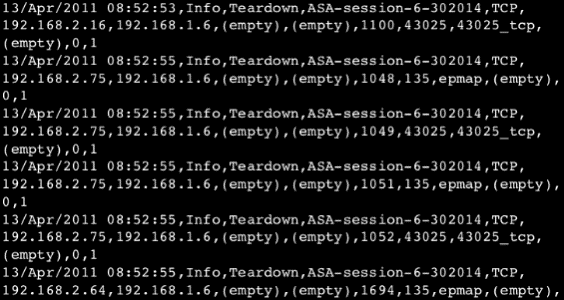 Users also get investigating and searching facilities under Splunk. It provides error detection in every tier of infrastructure. It is a very powerful tool which gives user the power to search and investigate in infinite fields. Splunk can check errors in every level of infrastructure in the architecture without letting the error to proceed further eliminating and improvising from the origin of error only. Apart from this, it also provides the ability to proceed till the end for further flexibility. Splunk also offers search optimization through knowledge mapping. It simply optimizes the search by adding the knowledge of event, field, transactions, etc. User is able to improvise the search by adding event, location, tag, etc. Moreover, Splunk has an advantage of mapping the data at the time of search, which provides Splunk a huge edge over others. Apart from this, user is also able to share the reports, tables, indexes, searches, dashboards, etc on almost every platform used in the organisation. Splunk also provides the functionality of adding notifications accordingly. One can easily get notified through Splunk monitoring system through alarms and notifications for various kinds of things as per the requirements. This alerting facility can be used over a variety of platforms and applications through Splunk infrastructure. The notifications can be shared via email or Snmp. This feature protects companies from fraudulent, data theft, information leakage and damage. The most dynamic and useful functionality of splunk is its ability of transferring files. As we know very well that Splunk provides user the capability of analyzing big data at a very high speed along with the creation of charts, graphs, histograms, tables, etc. It also provides the facility of creating an outstanding report which can be shared through email and printed notes. Thus, the Splunk’s ability to deal with various issues in real time at a very high speed helps users in numerous ways and empowers them to perform more efficiently. Splunk is doubtlessly a panacea to deal with machine generated big data. But, just like any other digital platform, it comes with its own list of pros and cons. Here, we are showcasing that list, by which you can simply analyze whether it’s needed for your business or not. Kindly take a look at the below mentioned points. It comes with a lot of plugins and customizations. It has an impressive dashboard along with search and charting tools. There is no need of external databases in it. It supports any amount and any format of data. Real time indexing of your IT data. It automatically discovers useful information in data to make your work even more concise. It makes your system smarter by saving searches and tagging useful information. It offers alerts to automate the monitoring of systems. It develops analytical reports with graphs, interactive charts, and tables. It lets you share these reports with your desired ones. It reviews your IT systems continuously to head off server downtimes and security incidents before they arise. Pricing gets a bit higher for large data volumes. The optimization of searches is more of an art than just science. Dashboard is a bit harsh as compared to tableau. It is continuously making attempts to replace it with open source alternatives. If you are a person looking for getting a place in Big Data or IoT environments in an organization, Splunk is the perfect guide for you. Managing and analyzing data in a company is one of the most dreadful tasks, and looking at the transformation of technology with IoT, things are getting more complex day by day. Hence, the person with knowledge of a software like Splunk can undoubtedly see their position in an IT firm. So, whether you are a programer, or you work in the administration, you can make disastrous changes in your work by learning Splunk. Give it a shot and see new changes in your working environment. And, if your job responsibilities are associated with the management of data and analyzing different data together like IoT, then Splunk is the God Father of your career. Moreover, Indeed also claims that Splunk related job roles receive paychecks upto $120,000 for a Senior Systems Engineer and $148,590 for a Solutions Architect. Even starting salaries of the job roles related to Splunk are ravishing as compared to other IT job roles. So, if you are looking for a career in data management or any other associated with it, Splunk can give you wings to fly higher. 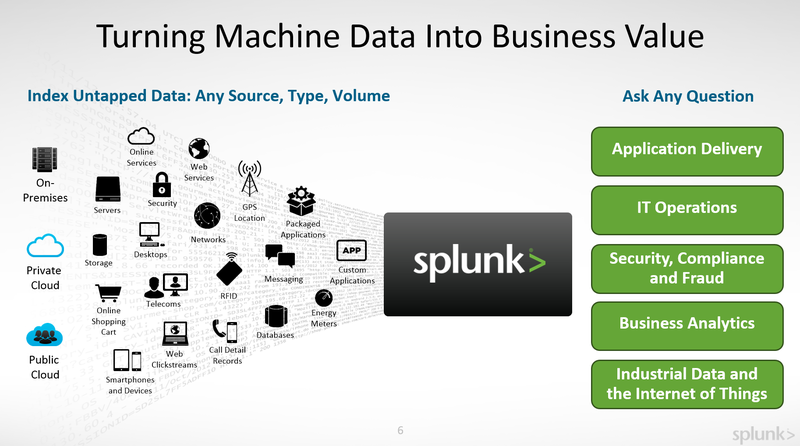 As we have seen above, Splunk is a Big Data management and analyzing tool. It undoubtedly holds the position of the best in market, but somehow it's higher price makes it inaccessible for many organizations. Still, if you are looking for a career on this platform, then you are heading in the right direction. Many big scale IT organizations are in need of individuals associated with this platform. You may feel it a bit challenging in finding jobs via this platform, but once you’re in any organization, you will see your rapid growth with your own eyes. So, there is no doubt you can get awesome opportunities by learning this platform. Good luck for your career.